Welcome to this webpage accompanying the book “Engineering Haptic Devices”. The book is available in print and online from Springer since September 2014. On this page, you will find additional information about the different topics of the book , information about haptics-related conferences and other interesting stuff regarding haptics. Just have a look at the categories on the left side. We are also eager to hear from you about your experiences with the book – just send us a mail to feedback@hapticdevices.eu or post a comment on this page! Every two years there is the Actuator Conference in Bremen. The main topic of the conference are small actuators for all kinds of application – and of course also for haptic applications. 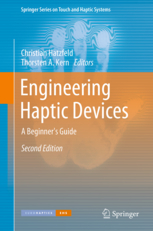 This website is intended as a addition to the Springer book "Engineering Haptic Devices". It includes additional information from science and industry useful for the design of task-specific haptic interfaces. The book is listed under the ISBN 978-1-4471- 6517-0. You can order it at any bookstore or directly from www.springer.com. Find out more at www.institut-emk.de! Am 4-6. Oktober 2012 fand in Wismar das Light Symposium 2012 (http://www.lightsymposium.de ) statt. Das Fachgebiet Lichttechnik war mit 1 Vortrag vertreten: "Color Quality of Current and Future White LEDs: Optimization of Indoor Lighting Quality." 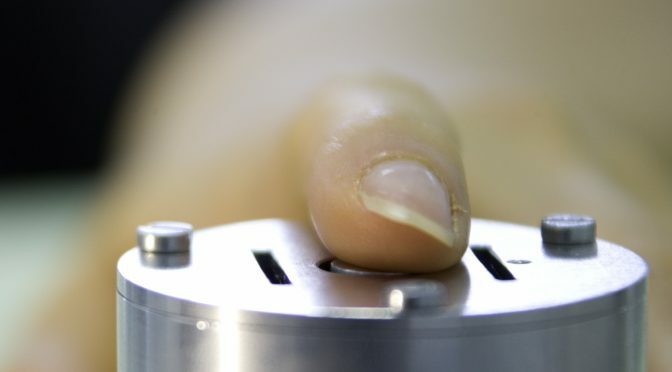 This page is maintained by the authors and editors of Engineering Haptic Devices and the members of the "Haptic System Group" at the Institute of Electromechanical Design, Technische Universität Darmstadt. It is intended as resource for researchers and system developers in the field of haptic systems.